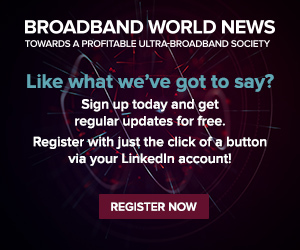 Broadband World News - Shutdown an Unexpected Boon for Rural Broadband Providers? The government shutdown did not disrupt Connect America Funding (CAF II), although the possibility of postponed payments via a different federal branch could benefit potential recipients that are less accustomed to applying for grants and low-cost loans. Although most federal operations were suspended after Jan. 3, the Universal Services Administration Co. (USAC) that oversees CAF II was fully operational and funding to service providers already awarded was not disrupted, Gary Bolton, vice president of global marketing at ADTRAN, said in an interview with Broadband World News. That included the annual $1.67 billion in CAF II funding to price cap carriers over six years, the annual $1.5 billion CAF II funding to rate of return carriers over a decade and last fall, and the Federal Communications Commission's award of $1.5 billion over 10 years to 103 bidders for the CAF II auction, he added. "The FCC has not yet acted on the long-form applicants submitted by the winners of the CAF II auction, so the shutdown may delay the initial payments under that program," said Bolton. "However, we did not see a slowdown on the availability of the CAF funding, nor do we see any slowdown on these CAF projects." The United States Department of Agriculture (USDA), however, may be forced to postpone awarding up to $600 million via the ReConnect Program funds to very rural providers -- typically coops that serve farms and residences spread over very dispersed footprints, municipalities or traditional service providers, Bolton said. That extra time could be beneficial, he noted. "These guys are in the early stages, they're just fact-finding," said Bolton. "A little bit of delay and pushing out those deadlines, that might actually serve them well. It gives them a little bit more time to get their applications ready." In part, that's due to the complexities of local laws governing what coops can and cannot do regarding broadband services. Some states are acting quickly to empower utilities to deliver high-speed, fiber-based broadband to their coop members, whereas others continue to ban this activity, said Bolton. 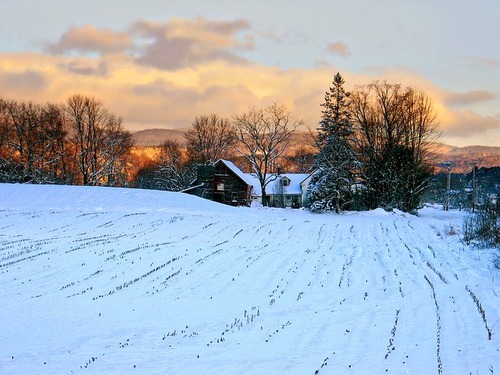 Vermont law prevents taxpayer subsidies of broadband infrastructure or services, one reason so many residents in the rural state lack fiber-based Internet. "Now some of the local or state laws are coming in the right direction and allowing these communities that are served by coops -- areas where no one is looking to provide broadband, so if they don't do it, no one's going to do it -- to deliver broadband," said ADTRAN's Bolton. "While they don't want necessarily to be in that business, they do want to serve their communities… and their communities want Internet connectivity." State laws could prevent taxpayers from subsidizing broadband via the electric coop, encouraging the power company to create a separate subsidiary for connectivity. Mississippi recently made it easier for electric coops to offer broadband services, Bolton said, and Georgia is in the process of simplifying that step. "There's a bill teed up now in Georgia that could make it easier. I think we'll see a lot of momentum where state legislators across the country will make it easier for rural utilities to offer broadband," he said. "It is very challenging because you want to do what's right for the community because it is very critical for them to have broadband [but] you don't want to have unfair subsidies. These communities realize they're going to be left behind without broadband. The take rate in these rural communities is 60%. In urban areas, it's 40%." Deployments, however, are much more expensive -- especially when using fiber which may run seven, 10 or 20-plus miles between customers. Where allowed by law, especially in regions where public pressure or the dearth of competition have altered the provider landscape, coops now may be eligible for the USDA program, which offers grants and low-interest loans. USDA allotted about $200 million for grants (applications due April 29); $200 million for loan and grant combinations (May 29 deadline), and $200 million for low-interest loans (due June 28). Information is available on page 64315 of this edition of the Federal Register. To receive funds, projects must serve communities with fewer than 20,000 people who currently have no broadband service or where existing service is less than 10 Mbit/s down, 1 Mbit/s up. Solutions must deliver at speeds of at least 25 Mbit/s down, 3 Mbit/s up, with priority given to those providing higher-speed connections to rural homes, businesses and farms, USDA said. "USDA seeks to stretch these funds as far as possible by leveraging existing networks and systems without overbuilding existing services greater than 10/1 Mbit/s," according to the agency. "Evaluation criteria include connecting agricultural production and marketing, e-Commerce, healthcare and education facilities. Previous research by USDA has demonstrated that high-capacity broadband is critical to all aspects of rural prosperity, including the ability to grow and attract businesses, retain and develop talent, and maintain rural quality of life."